Gardening is the method of growing plants. Ornamental plants are generally cultivated for flowers, foliage, overall look, and for their colors. Beneficial plants are cultivated for consumption purpose like vegetables, fruits, herbs, and leaf vegetables or for medicinal use. Gardening requires patience and observation. Container gardening: It is process of growing plants in containers and is suitable for people staying in urban apartments as they can grow food, herbs, flowers and foliage in sunny windows or on balconies and rooftops. Containers plant can be cultivated in indoors, outdoors, in conservatories or greenhouses. Raised bed gardening: Raised beds are suitable to grow different types of ornamental, edible and medicinal plants on top of barren surfaces ranging from rock-hard clay to concrete slabs. Raised beds are particularly suitable for disabled or elderly gardeners. As these gardens are built high, one can seat comfortably and do gardening without any pain in the joints and spine. Indoor gardening: Many people grow houseplants for the visible benefits and to purify the air, which help in improving quality of air in new buildings, which are entirely airtight. Common houseplants which help in purifying the air are Chinese evergreen, English ivy, golden pothos, peace lily, bamboo or reed palm, spider plant, etc. 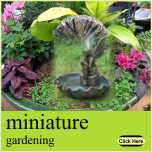 Water gardening: Water gardens generally consist of aquatic plants, fish and other aquatic life. Regular aquatic plants for water gardens are dwarf papyrus, water hyacinth, wild celery and water lettuce and aquatic animals are snails, goldfish, mollies, guppies and gambezi to eat algae, mosquitoes, waste and decaying organic matter. Community gardening: Community gardens are developed in public spaces, where a particular plot is rented to grow edible, ornamental and medicinal plants. This garden provides access to fresh produce, enhance neighborhoods, and give a feel of community and acquaintance to the environment. Gardening plays a major role in improving health by promoting exercise, stress reduction, and relaxation. When viewed from medical perspective, researchers have shown that people who get associated with or communicate with plants are more capable to recover more from stress and mental lethargy or tiredness. Families of reduced incomes, regard fresh fruits and vegetables as luxurious items as they cannot afford to buy them. Families with vegetable gardens at their home can eat more fresh fruits and vegetables, which are of high nutrition value. Gardening benefits children by providing knowledge on science, about necessities of plant life that can be interconnected with human necessities like water, shelter, air, food, and provides relaxation for abused children. A proper yard care and gardening pastime will have a continuous and beneficial effect on the neighborhood and colony environment. The natural requirements for garden are soil, rocks, light (sunlight) conditions, wind, precipitation, air quality, and plant materials. Researchers observed that openness to nature is helpful in supplying immense pleasure to life. Yard care and gardening activities assist in developing individuals, strengthening families, and in building communities.